Carsen Chadwick is a Premium Billing Operations Manager at SelectHealth, a not-for-profit health plan serving more than 850,000 members in Utah, Idaho, and Nevada. With nine years’ experience in healthcare, Carsen is passionate about improving systems and processes, as well as empowering front-line staff to improve the customer experience. 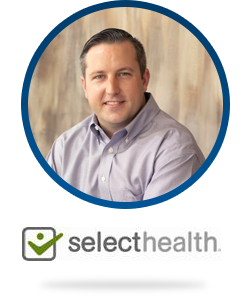 He is excited to share how the premium billing management team at SelectHealth has improved the overall payment experience for members while simultaneously reducing calls. Carsen has a bachelor’s degree in business administration from the Goddard School of Business & Economics at Weber State University.